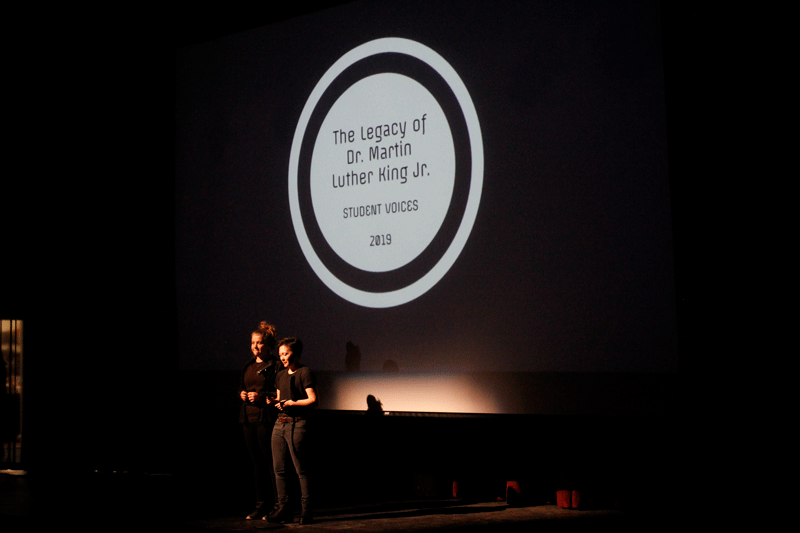 A powerful MLK Day Assembly, hosted by the Upper School Student Voices group, highlighted the similarities between past and current fights against injustice through a combination of images, poetry, memoirs, and audio clips. “As a community we owe it to Dr. King’s legacy to remain educated about the sources of injustice in our country ranging from everyday microaggressions to deep systemic problems and inequitable systems that continue to oppress members of our society and people of color,” said Caroline P. ’20. The March 1965 Selma to Montgomery voter rights march, known as Bloody Sunday, and the 2015 march on Edmund Pettus Bridge commemorating the 50th anniversary of the event as well as a woman marching against voter suppression in 2018. A family mourning a 14-year-old victim of the 16th Street Baptist Church bombing in 1963 and community members at a memorial for victims of the 2015 shooting at the Emanuel African Methodist Episcopal Church in Charleston. Gloria Steinem and Dorothy Pitman Hughes posting together with fists raised in Esquire in 1971 and Jane Fonda and Black Lives Matter Founder Patrisse Cullors in a similar pose in a 2018 edition of Harpers Bizarre, emblematic of “the importance of allyship in the justice movement” standing next to and behind those fighting for justice. After providing context for the photos, poetry related to the events was read, or audio clips from news of the events was played, providing first-person language and perspective to the history.